BeeGees.co.uk exclusively features the reviews of lifelong Bee Gees fan, Nicholas James. New reviews are added all the time. 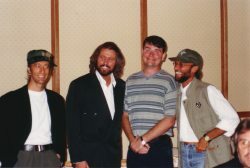 Left: The Bee Gees pictured with Nicholas James at Barry and Linda Gibb's 25th Wedding Anniversary party on 1st September 1995 (Stakis Hotel, Blackpool, UK). Click on the image for a high resolution version. New reviews are added regularly, so please check back. Click here for a full list. 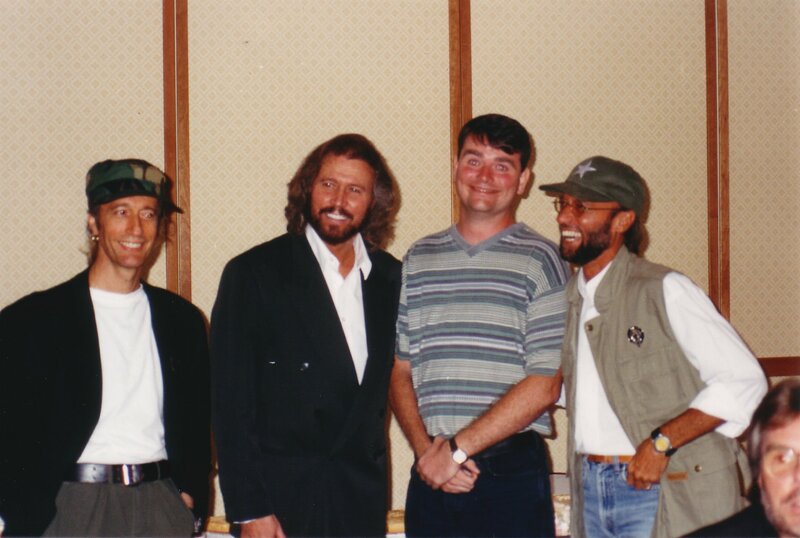 Please note that BeeGees.co.uk is not connected in any way with the Bee Gees, their management or their record labels.